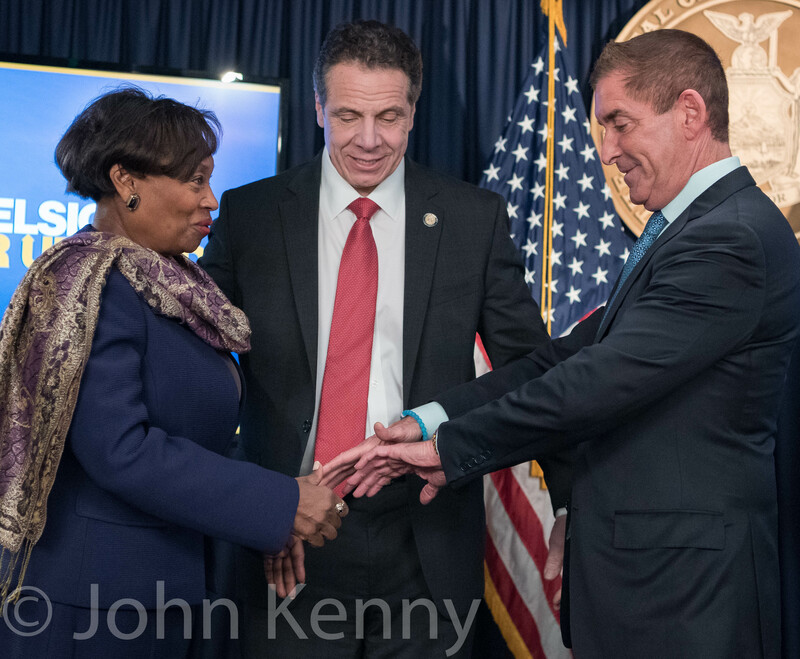 Governor Andrew Cuomo touted the reunification of New York State Senate Democrats, bringing ostensibly erstwhile rivals Andrea Stewart-Cousins and Jeff Klein together in a press conference. Stewart-Cousins, the head of the “mainline” Senate Democrats and Klein, head of the Independent Democratic Conference or IDC, pledged unity and cooperation during a press conference Wednesday in Cuomo’s Manhattan office. As the state senate Republican conference holds its first post-election meeting, incoming majority leader Dean Skelos announced that he anticipates another cooperative agreement with Jeff Klein and his Independent Democratic Conference. Here’s a brief flashback to a long-ago (pre-primary) Klein campaign rally featuring Governor Andrew Cuomo. Full coverage of that September 7th rally is here.